Usually, babies have an innate tendency to understand their surroundings. In this process, even a speck of small dust goes its way all along the baby’s mouth, if we leave them unnoticed. Similarly, puppies would be very curious to know what is happening in the new world, in the new surroundings. 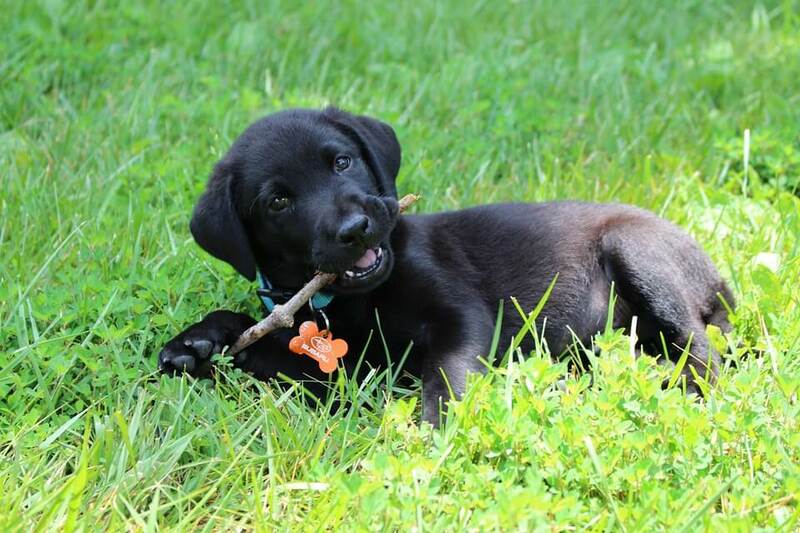 In this process, a puppy puts sticks into his mouth. Some pet owners have complained their things went vanishing after they brought the canine friend in. While the sticks are safe for puppies, you should be extra cautious to keep harmful substances out the reach of your pet. Why Do the Dogs Like Sticks? How to Stop Your Dog Chewing Twigs? There are instances where the pet owners have complained of their pet eating twigs, gloves as these gloves are made of highly aromatic substances. Some dogs even eat your clothes! Their principal amusement is to splinter the twig and chew it. You should take care that the wooden pieces might injure its mouth or digestive system. Some dogs have fractured their teeth while trying to eat sticks. Their instinct to hunt and tear its victim’s skin may be another reason why these canine creatures chew the sticks. If you haven’t fed your puppy with any meat, he would certainly pick up a tendency to put a stick in his mouth. It is correct that the twig doesn’t taste like a bone. Most of them, are likely to spit them out as soon as the twigs irritate the taste buds of dogs. The leaves of blackberries, walnut and red apple can bring your puppy in the sick list. The lovely natural odor of the twigs tantalizes them, forcing them to taste them. Therefore, if you live near the woods, keep your doggie indoors most of the time. Eating poisonous twigs will put his life at stake. Sometimes, they pass the tongue over pebbles and stones because of the awesome smell of the sand. This habit of these canine creatures is proof of the fact that they are the descendants of wild wolves. They have an aged old bad habit of eating dirt of humans or other animals. These carnivorous domestic animals think that whether it is poop or a stick, is edible. Whatever smells good and tastes good is a diet according to the dogs. Even though ingesting poop is not harmful, we should be careful not to allow him to eat it. The dog may find it difficult to breathe or difficulty in digesting these twigs leading to severe intestinal problems. It may pierce the stomach lining leading to severe bleeding in dogs. The golden rule of stopping your dog from eating these twigs is to keep them out of reach of these things. You should always keep your children’s toys, plastic carry bags, or socks out of their reach. It could turn potentially dangerous to your puppy. You feed them with meat and chicken that make them forget licking any objects which they are not supposed to bite. So, train your dogs not to stealthily devour anything that they presume to be their staple food. If you have logs of wood lying near the hearth or fire pit, remove it to a safer place or tie the cover which holds the woods to deny your puppy’s access to it. These logs and twigs might harm your puppy. It is true that you can’t clear all the potentially dangerous items wherever the dog goes. But, try to remove as much as possible. You can try keeping a toy that resembles like a twig or a log to allure him to chew it. Keep it along the way wherever he goes to research the surrounding or wherever he plays. In due course of time, a dog will start chewing the toys instead of these twigs. If your dog doesn’t stop chewing twig, spray something that tastes awful or bitter that makes him stop biting the sticks. If he continues with the habit, isolate him in a room for some time or stop talking to him to make him understand that you don’t want him to do that. But, make sure that you don’t shout at him or refuse to talk to him for long hours. Negative enforcement techniques like punishment will backfire if you apply it harshly on them. You can ring a bell or whistle to show that he is displaying undesirable behavior. The moment he hears the FWEET noise, he should drop the stick down. Besides this, you can also say NO to make him understand that he should not chew the twig. Why don’t you spend some time with him to make him cheerful? If your dog gets bored, he will try to play out and munch whatever he feels is edible. So, if you play with him, you can supervise him, at the same time, can prevent him from chewing and consuming twigs. Mental stimulation is required to keep him engaged and healthy. Unlike cats, who sleep for 20 hours a day, dogs sleep only for 12 to 14 hours. So, you have to take him for a walk or park for him to play. Thus, he can use the energy his body has generated. This way, through continuous supervision and instruction, you can make your pet listen to you. Unlike cats, these canine animals respond to instructions, better. It is easy for you to train him. If needed, you can approach a trainer to seek his help. In short, dogs are creatures who are naturally attracted to twigs. Just like a baby, they also have an acute curiosity to know and understand what is going on around him. He will chew whatever he finds on his way. The best way to stop him eating the twig is to supervise him as long as possible. Try giving substitute things for him to chew on. Feed him well with meat and chicken to prevent him from biting twig. Take him out for a while, at least once in a day; and spend enough time with him. He will feel energetic and protected. 6 Reasons Why Do Dogs Sit or Lay On Your Feet? What Dog Lives The Longest? Do Dog Flea Collars Work?